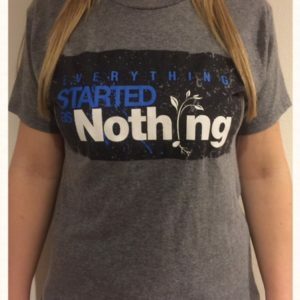 Product: T-Shirt The original Everything Started As Nothing t-shirt. This design is also our brand logo. 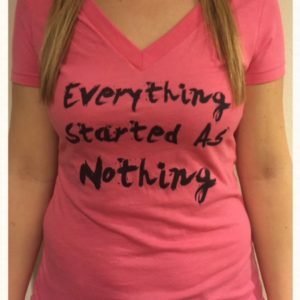 This design focuses on the “Nothing”, which is why we made the “Nothing” stand out. The reason being…we all need to find light in the “nothing”. It’s easy to see the “Everything”, but one of the important things we need in order to be successful in anything and to be happy, is that we have to find the hope in the nothing and we have to be able to envision the “everything” even when we’re at the “nothing” stage. Get motivated and motivate others, friends. 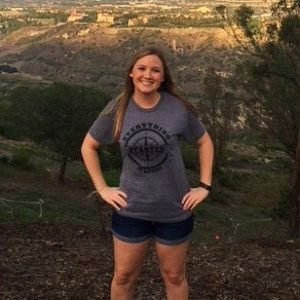 This shirt is a great shirt for guys and gals. Color: Premium Heather. Super soft and comfy like all of our shirts. 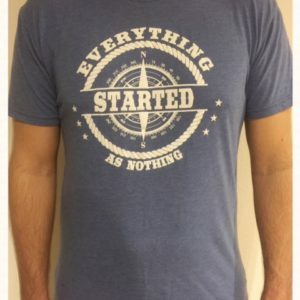 Product: T-Shirt The original Everything Started As Nothing t-shirt. This design is also our brand logo. This design focuses on the “Nothing”, which is why we made the “Nothing” stand out. The reason being…we all need to find light in the “nothing”. It’s easy to see the “Everything”, but one of the important things we need in order to be successful in anything and to be happy, is that we have to find the hope in the nothing and we have to be able to envision the “everything” even when we’re at the “nothing” stage. Get motivated and motivate others, friends. This shirt is a great shirt for guys and gals. Color: Vintage Black. Super soft and comfy like all of our shirts. 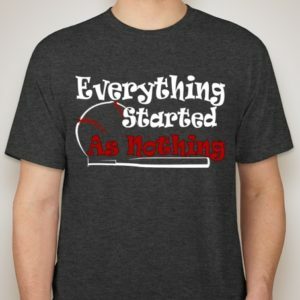 Product: T-Shirt The original Everything Started As Nothing t-shirt, made for kids. This design is also our brand logo. 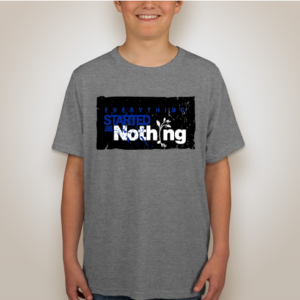 This design focuses on the “Nothing”, which is why we made the “Nothing” stand out. The reason being…we all need to find light in the “nothing”. It’s easy to see the “Everything”, but one of the important things we need in order to be successful in anything and to be happy, is that we have to find the hope in the nothing and we have to be able to envision the “everything” even when we’re at the “nothing” stage. Get motivated and motivate others, friends. This shirt is a great shirt for boys and girls. Color: Premium Heather. Super soft and comfy like all of our shirts. Product: T-Shirt Twas designed for the gals. 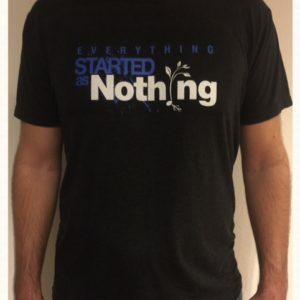 This shirt makes a statement, getting the point across… “Everything Started As Nothing.” It’s a fairly simple, fun, clean design and reminds yourself and those around you that everything started as nothing. So we should chase our dream and live a happy life. Pop up and get at it, friends. This shirt is a fab shirt for the gals. Color: Premium Heather. Super soft and comfy like all of our shirts. Product: V-Neck Twas designed for the gals. 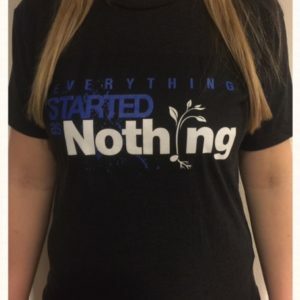 This shirt makes a statement, getting the point across… “Everything Started As Nothing.” It’s a fairly simple, fun, clean design and reminds yourself and those around you that everything started as nothing…so we should chase our dream and live a happy life. Pop up and get at it, friends. This shirt is a fab shirt for the gals. Color: Vintage Black. Super soft and comfy like all of our shirts. 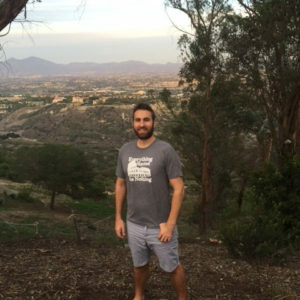 Product: V-Neck Our journey isn’t always smooth but it’s ever flowing. We just must remember that we have to keep painting our story. Brush away, friends. This shirt is a fab shirt for the gals. Color: Vintage Pink. Super soft and comfy like all of our shirts. 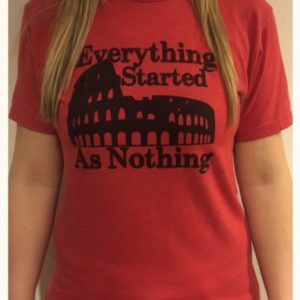 Product: T-Shirt Rome wasn’t built in a day, but it was started in a day. Whether you need to literally build a building or you need to write a paper or you need to start a business or you’re about to become a parent….wherever you’re starting, remember it’s not an easy journey but you can eventually get where you want. Everything started as nothing. Start building, friends. 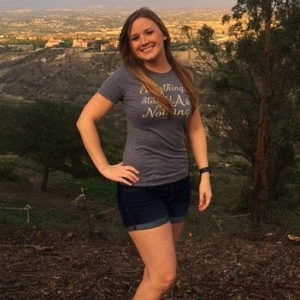 This shirt is a great shirt for guys and gals. Color: Premium Heather. Super soft and comfy like all of our shirts. 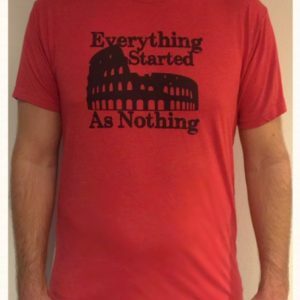 Product: T-Shirt Rome wasn’t built in a day, but it was started in a day. Whether you need to literally build a building or you need to write a paper or you need to start a business or you’re about to become a parent….wherever you’re starting, remember it’s not an easy journey but you can eventually get where you want. 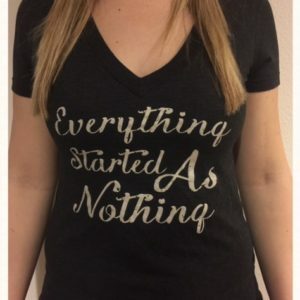 Everything started as nothing. Start building, friends. 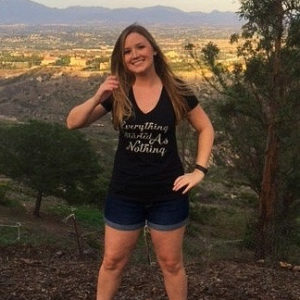 This shirt is a great shirt for guys and gals. Color: Vintage Red. Super soft and comfy like all of our shirts. 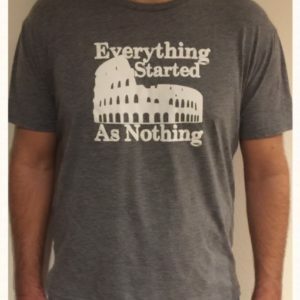 Note: The difference between this design and design ‘Rome Start’ is that the design image is in white in ‘Rome Start’ and it’s in black in ‘Rome Start Dos’. Product: T-Shirt We all have to find our way in life and it ain’t always easy. No matter where life takes us, if we stay focused and work hard towards our goals, anything and everything is possible. This design reminds us that we don’t know where the compass will guide us next, but we have to remember that we can do anything…Everything Started As Nothing. Find your way, friends. This shirt is a great shirt for guys and gals. Color: Vintage Royal. Super soft and comfy like all of our shirts. Product: T-Shirt We all have to find our way in life and it ain’t always easy. No matter where life takes us, if we stay focused and work hard towards our goals, anything and everything is possible. 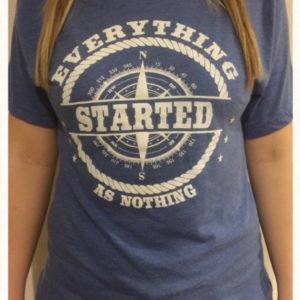 This design reminds us that we don’t know where the compass will guide us next, but we have to remember that we can do anything…Everything Started As Nothing. Find your way, friends. This shirt is a great shirt for guys and gals. Color: Premium Heather. Super soft and comfy like all of our shirts. Note: The difference between this design and design ‘Compass’ is that the design image is in black in Compass Dos and it’s in white in Compass. Product: T-Shirt If you like Baseball, we made this shirt with you in mind. Life and Baseball are similar. In Baseball, if you fail 7 out of 10 times when batting, you are considered to have a great batting average (.300). In life, no matter who you are, you’re probably going to fail 7 out of 10 times, possibly less, possibly more. But it’s important to stay positive throughout the “failures”. Everything started as nothing…you always have a chance to take another swing. Take the swing, friends. This shirt was made with the guys in mind. Color: Vintage Black. Super soft and comfy like all of our shirts. 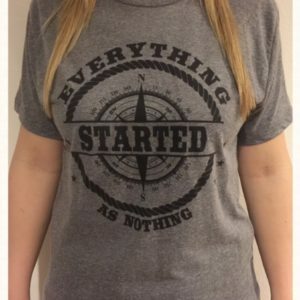 Note: The difference between this design and design ‘Batting Life’ is that the “Everything Started” design image is in white in ‘Batting Life Dos’ and it’s in black in ‘Batting Life’.